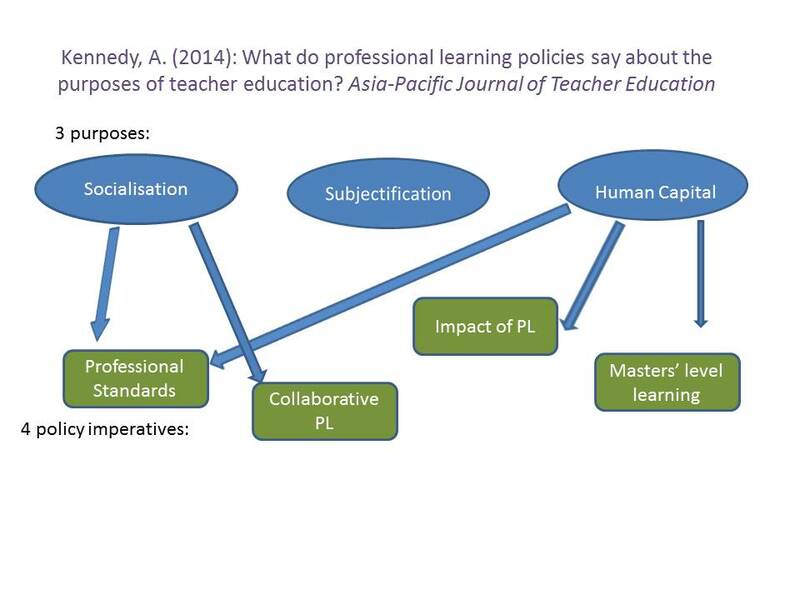 What do professional learning policies say about the purposes of teacher education? This entry was posted in Impact, Masters, Policy, purpose, Research, Standards, Teacher Education and tagged Aileen Kennedy, teachmeet. Bookmark the permalink.